This entry was posted on Sunday, November 1st, 2009 at 1:37 am	and is filed under vs. Portland. You can follow any responses to this entry through the RSS 2.0 feed. 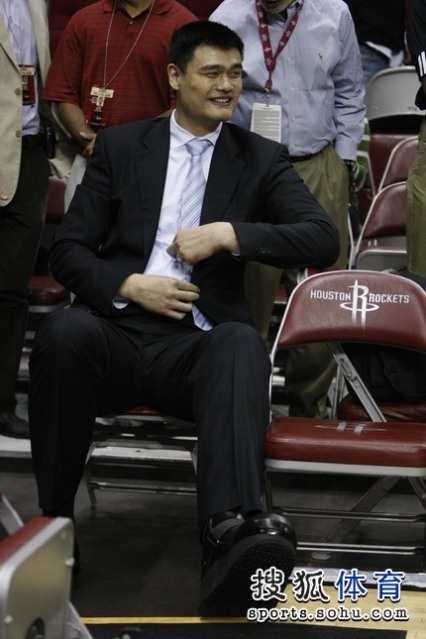 Sincerely bless big Yao to comeback healthily and and actively. Thanks for the Yao update John, are you not doing post-game analysis this season since Yao is out? Hi Vince, I won't be doing near as many post-game updates this season. I'm going to consider this season somewhat of a break after 7 years, but occasionally I will blog during the season, and I will be focusing more of my “Yao time” meeting with him occasionally and reporting on his progress. Thanks for all the updates John. I've been following your blog since 2004. Enjoy your vacation this season while Yao prepares for the next. I've been quite proud (and pleasantly surprised) of how the Rockets have been playing in the few games they've had so far with the balanced scoring, ball movement, and the points in transition. I'll be coming back to see Yao's progress and your updates. And it's great to see Yao lending his influence to postive causes, such as promoting education and the anti-smoking campaign.